The Wood mouse is mostly nocturnal and is not often seen during the day. Also known as Long-tailed Field Mouse they are widespread; thriving in farmland, grassland, heath land and as its name suggests, woodland habitats. The Wood mouse eats berries and seeds which it also stores in underground burrows during the autumn months, in order to help it survive the long cold winter months. 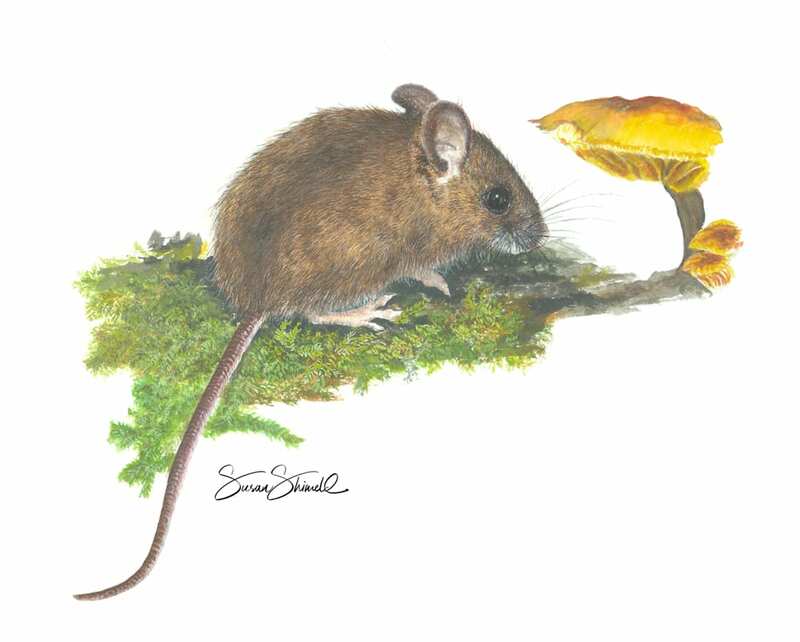 I portrayed this little Wood mouse scene in 1994: it was my first ever gouache painting and a lovely introduction to this medium.